Christmas may be over for another year, but that doesn't mean we have to stop celebrating. 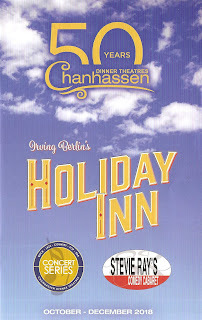 After all, Christmas is only one of many holidays celebrated around the world, and only one of the seven holidays celebrated in Chanhassen Dinner Theatres' gorgeously fun production of the Broadway musical Holiday Inn. 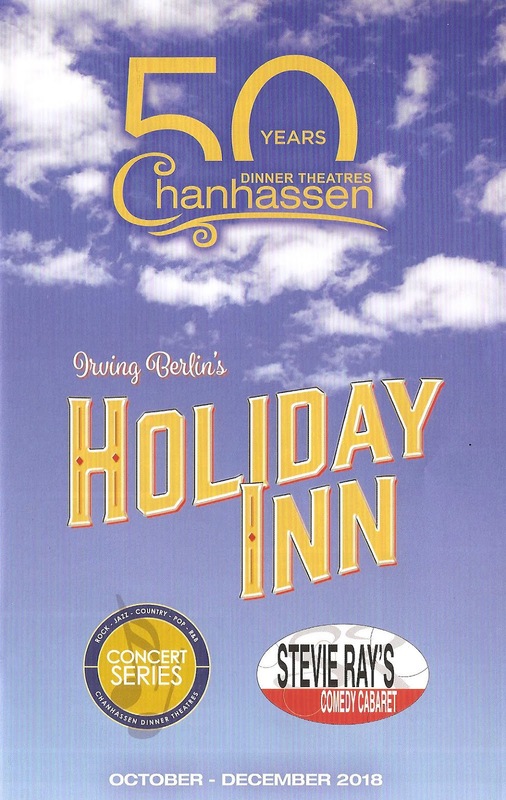 Based on the 1942 Bing Crosby/Fred Astaire movie of the same name, the musical debuted on Broadway in 2016, and is now receiving its Minnesota premiere. This is the kind of thing that Chanhassen does best - a big splashy musical with wonderful recognizable music and fantastic dance numbers. If you didn't see it this holiday season, don't worry, it's still playing through February 23, and there are still plenty of holidays to celebrate. 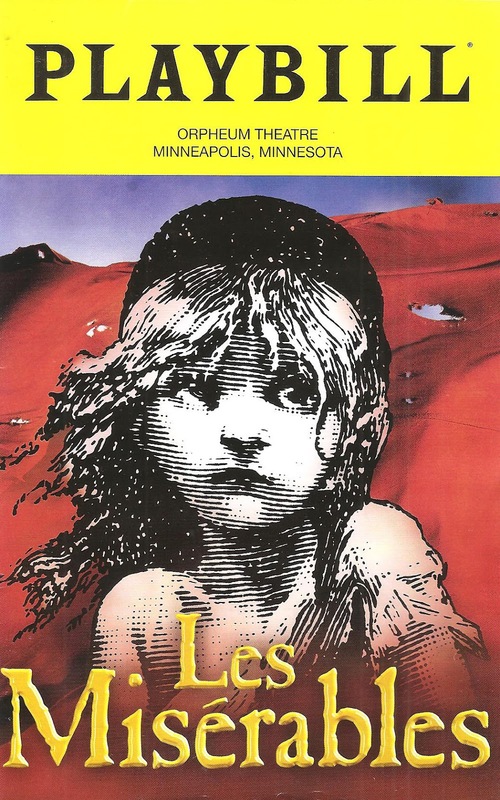 Fresh off of a successful Broadway revival, the music-theater phenomenon known as Les Miserables is on tour, stopping at Minneapolis' Orpheum Theatre for the final two weeks of the year. I'm not one of those Les Miz fanatics (like my friend Laura at Twin Cities Stages), I save the fanaticism for RENT. I saw the tour 18 years ago, but it was the #TCTheater production at Artistry (formerly known as Bloomington Civic Theatre) five years ago that production that really won me over to the beauty of the story, writing, "Les Miserables is such an inspiring story. Through a moment of kindness, a man's life is changed and he goes on to affect others' lives by passing on that kindness. But through it all he's still just a man, with doubts and regrets and struggles. In short, it's the human experience." 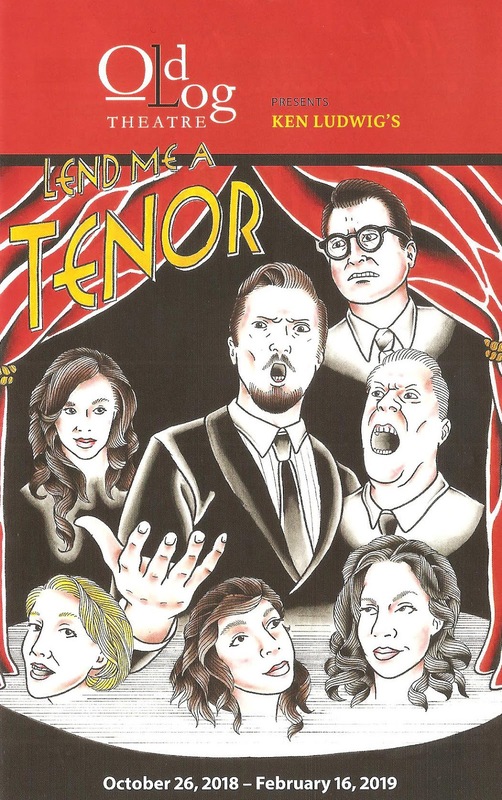 So I was ready for this large-scale Broadway production, re-invented from the original. And I loved every minute of it (approximately 180 of them). 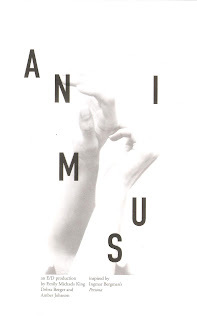 Animus is a theater piece that incorporates film (both pre-recorded as well as projected live) better than any I've seen before. In fact everything about the piece is thoughtfully created and exquisitely executed. Produced by a new company (called E/D), but not a new collaboration (Emily Michaels King and Debra Berger), it's inspired by the 1966 Ingmar Bergman film Persona and is in fact part of the Swedish filmmaker's jubilee celebration. I've not seen this film (or I think any of Bergman's work), but if it's as hauntingly beautiful and downright trippy as Animus, I now want to. Presented as part of last year's Twin Cities Horror Festival (as reported on by my friends at Minnesota Theater Love), it's been expanded to 90 fully engrossing minutes. Animus continues through December 22 only and should not be overlooked in this busy season both on and off stage. 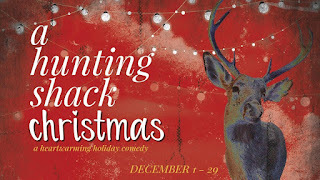 Don't let the Christmas lights strung across the ceiling fool you, Dark and Stormy's Blackbird is not a feel-good holiday play. 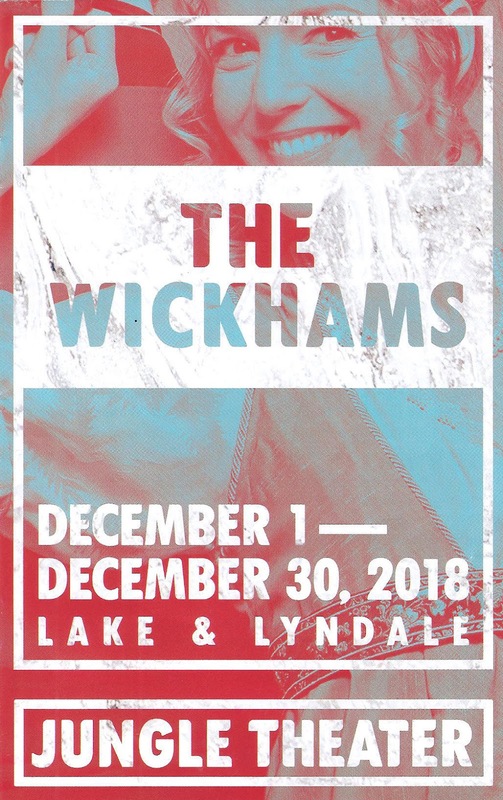 Which is why it's a great choice for right now, if you need a break from the sugary sweet holiday fare (I myself have seen 11 holiday shows so far, with a few more on the schedule next week). 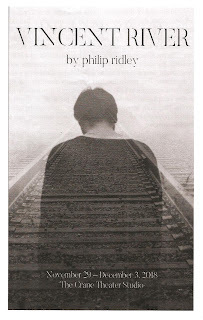 Written in 2005, Blackbird is a brutal play about a woman confronting her abuser, 15 years after he raped and kidnapped her at the age of 12 (she may have gone willingly, but she was still a child). 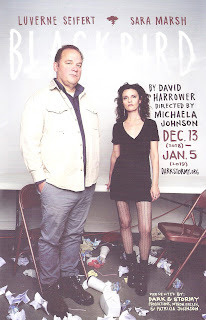 Yes, it's a difficult one to watch, but with painfully real performances by the two-person cast, in the intimate environment of Dark and Stormy's Northeast Minneapolis studio space, it's worth the effort. In nimbus theatre's latest original work, The River Becomes Sea, they explore the world of post-Civil War New Orleans through the complicated lives of one family. New Orleans is always a fascinating place, with its diverse peoples, cultures, and art, and its complicated relationship with water (see also the excellent HBO series Treme). But as playwright Josh Cragun notes in the playbill, the post-Civil War era is particularly fascinating; a time when there is new freedom for African Americans, and a backlash of fear from those who backed the failed Confederacy. Add to this the arrival of a long-lost sister, banished after a scandal, and an impending flood, and you have more than enough drama to fill 85 minutes. nimbus does that, but in an unhurried, lyrical, Southern sort of pace. 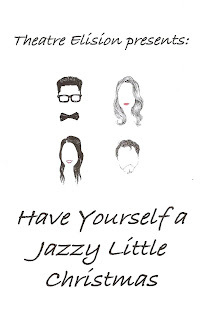 Theatre Elision brought back their holiday* concert Have Yourself a Jazzy Little Christmas, performing at various locations last weekend. 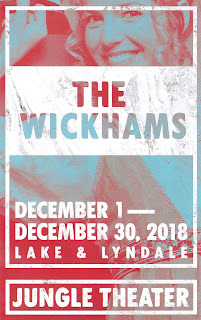 I happened to catch it at the Lakeville Arts Center, which is in the church I attended as a child. When a new church was built, the city bought the building and turned it into a performing and visual arts center, which is a pretty fantastic example of recycling. It's a great space to watch a show or listen to music, and this one was a delight. 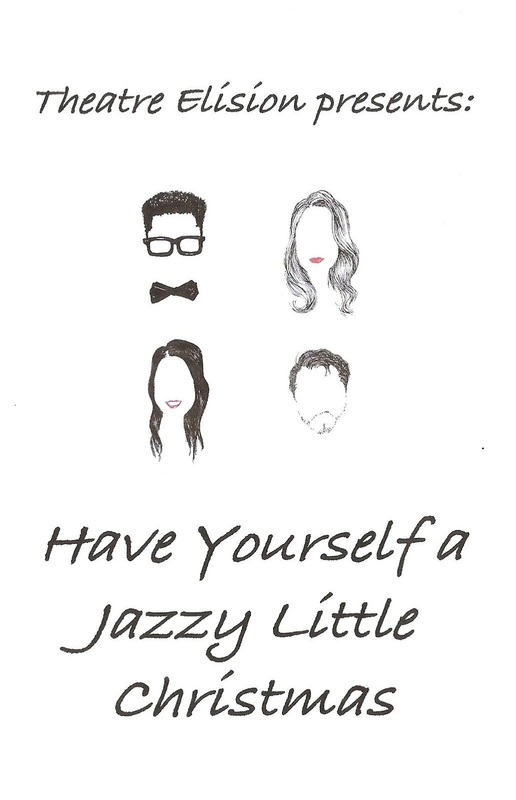 Have Yourself a Jazzy Little Christmas is like putting on your favorite Christmas albums from the '40s and '50s and curling up under a blanket in front of the fire with a cup of hot cocoa. In other words, very comforting and nostalgic for those who grew up with these songs. The show is over for this year, but make a mental note about next year, and check out what else Elision has on the calendar for this season fulfilling their niche of small cast, original or rarely done musicals. This was my fourth visit to the very southern-most #TCTheater, DalekoArts in New Prague (pronounced prayg not prahg, because this is Minnesota). I spent the first 15 years of my life in a rambler on a dead-end gravel road less than 20 miles from where Daleko is now, and my parents still live in Lakeville, so the drive to New Prague is filled with nostalgia for me. 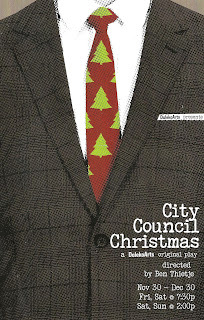 Daleko has built up a loyal audience over the last five and a half years, and it seems that their original holiday* comedies are just as popular as the ones at that other theater in the 'burbs on the opposite end of town. I'm not sure I would recommend spending two hours in the car to attend an 80-minute show (although I wouldn't dissuade you if you're so inclined), but if you find yourself in the southern metro, you should definitely check out what's happening at the Prague Theater in charming historic downtown New Prague. Which right now happens to be City Council Christmas, a hilariously quirky and fun comedy about a small town city council, which Daleko calls their "goofy, idiotic, fun, and totally ridiculous love letter to our audiences, and to the good people of New Prague and the surrounding area." 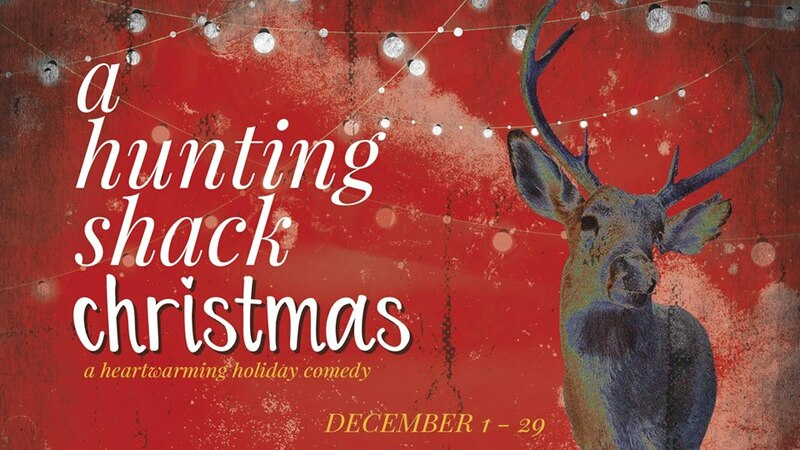 For the past four Decembers, The Ordway Center for the Performing Arts has produced Ordway Original holiday* shows - large-scale Broadway-style musicals using local talent. We had the delightfully nostalgic A Christmas Story in 2014, one of my personal favorites The Sound of Music in 2015, the sumptuous White Christmas in 2016, and the wonderful Annie last year. The last three calendar years have seen at least three Ordway Originals; perhaps 2017 was the high point, in which they also produced a gorgeous West Side Story, an explosive Jesus Christ Superstar, and a fantastic In the Heights (Lin-Manuel Miranda's first work). Coming off of that high point, and after the departure of Producing Artistic Director James Rocco, the Ordway has chosen to bring in a touring production this December, after only one Original this year (the super fun Mamma Mia!). I can't say I'm not disappointed. 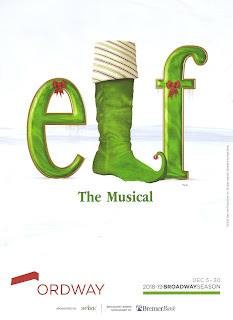 It's not that Elf the Musical (a non-equity tour) isn't a fine selection - bright and sweet and fun and very Christmassy - it's just that I've come to expect more from the Ordway. All that being said, I'm certain that the children who showed up opening night with elf hats on their heads and excitement in their eyes didn't know the difference, and likely some of their parents didn't either. So let's move on to the perfectly satisfactory Elf, which runs through the end of December. For two nights in a row, I experienced rousing gospel music as part of #TCTheater. In other words, was a good week. 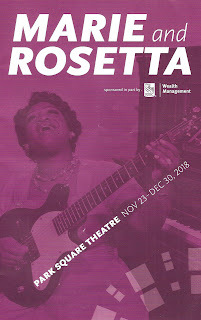 The night after seeing Penumbra Theatre's annual gospel rendition of the nativity story Black Nativity, I attended opening night of Park Square Theatre's regional premiere of the new play Marie and Rosetta, the true story of lesser known gospel legend Sister Rosetta Tharpe. Written by Playwrights' Center affiliated writer George Brant, Marie and Rosetta imagines the night of the first performance of Rosetta and her protege/duet partner Marie Knight. A night in 1946 Mississippi when there was no room at the inn for two black women singers, so they rehearsed and slept in a funeral home with a kindly owner. This play with music paints a beautiful picture of these two very different women, their music, and their relationship, as well as the hardships both faced in their lives and careers, and brings these two musical legends to vivid life. A "joyful noise" indeed.